Do you take your kids on dates? One of Little DIY's favorite things to do is to have a Girls Nite Out with mom! 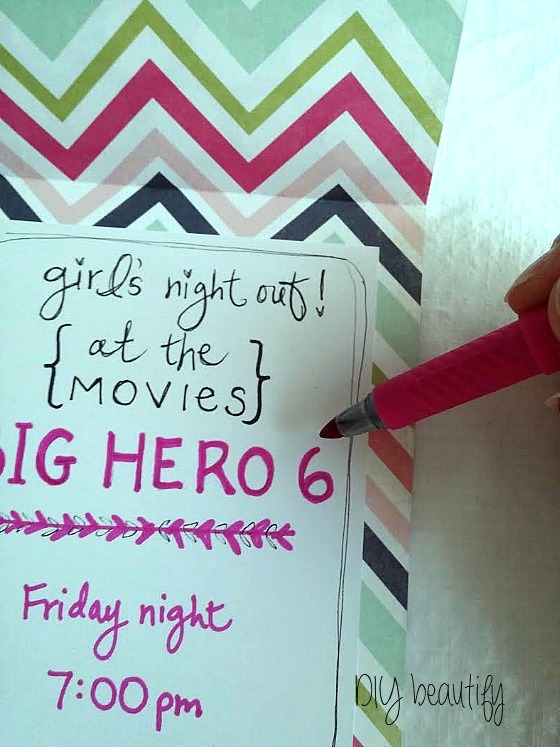 I partnered with BIC Mark-It™ and created this fun invitation for her...inviting her to do one of our very favorite things...go to the movies! The color I used, #FandangoPink, was perfect for adding a punch of color to my invitation. 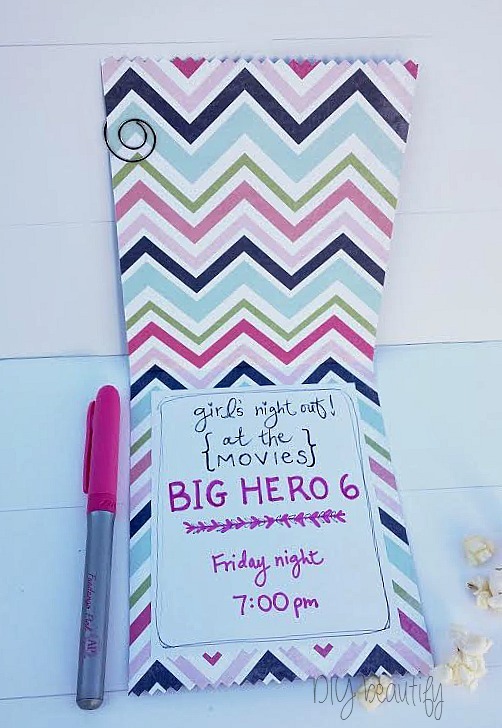 I used plain white letter stickers on the outside of the invitation and colored them in with the BIC Mark-It™ #FandangoPink marker. It was nice and juicy, didn't leave streaks, and I was done in minutes. See how the 'Y' is different? 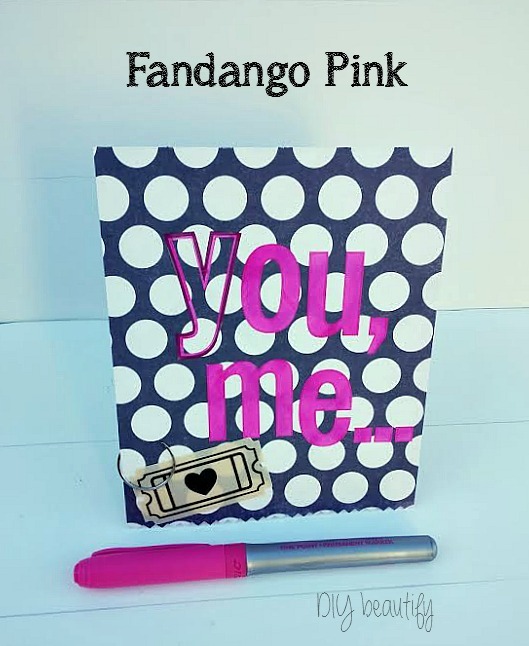 I didn't have that letter, but I did have the shadow...so I carefully cut it out leaving an edge, and used the Fandango Pink marker to color the outline I left behind. 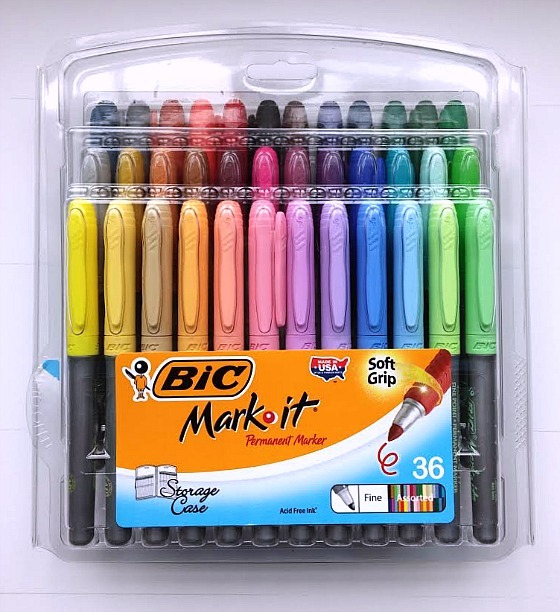 The BIC Mark-It™ markers are permanent and they dry very quickly, which makes them so easy to use. I love the variety of colors that are available. The package of 36 markers come in their own storage case. The colors are rich and vibrant and go beyond the usual primary colors. You can choose between Fine and Ultra-Fine tips. They have a new package of 8 metallics as well...I have lots of ideas for creating cute Christmas projects with them! All of the markers are low-odor and acid free. If you're looking for ideas, you can download the digital pdf booklet from BIC Mark-It™ full of inspirational ideas for getting the most out of your markers! These are not coloring markers for children. 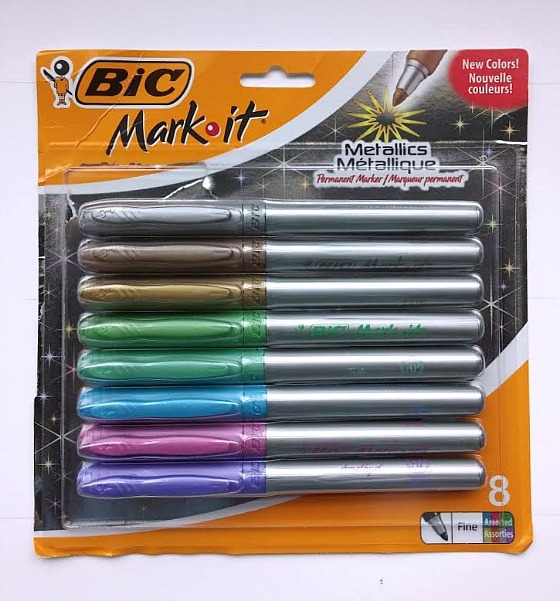 BIC Mark-It™ Permanent Markers were designed for adult craft enthusiasts. Trust me, once you see the beautiful colors for yourself, you won't want to share them! Along with the folks at BIC Mark-It™, I invite you to take part in the month of #BICMerryMarking and submit your own ideas. I'm issuing a challenge to three of my fellow bloggers. Ashley Greenwood, Ginger Bergemann and Holly McCall. 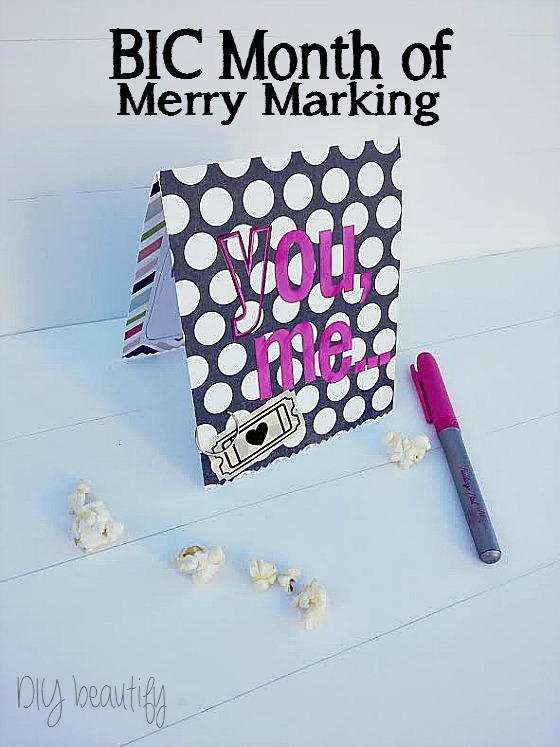 I would love to see what you gals come up with in the BIC's Month of Merry Marking! This is a sponsored post written by me on behalf of BIC®. As always, all opinions are 100% mine.